Double glazing is the use of double insulated panes of glass to reduce sound and heat transmission. Most standard single-glazed windows are not adequate for preventing heat from escaping through your house. As a result, you will end up paying more for your cooling and heating bills. 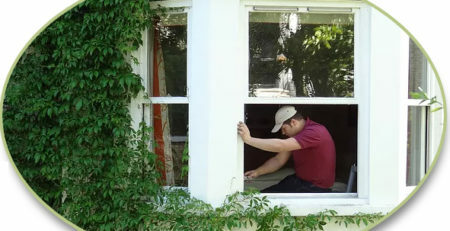 To know more about the advantages of replacement windows and who invented them, read this article. According to historians, double glazed windows and doors were believed to have been invented by Scottish families who resided in large Victorian homes. As their old window and door was not enough to insulate their house, they were forced to think of a better solution. The double glazing technology gradually made its way to the US in the 1930s. By 1950, many people enjoyed the immense benefits of thermo-panes as invented by the American inventor, C. D. Haven. However, it was not until a few decades later that the UK market decided to follow the trend. The main reasons for the late reception were due to the high cost of double glazed windows for average homeowners and the fact that they did not think they needed them at the time. 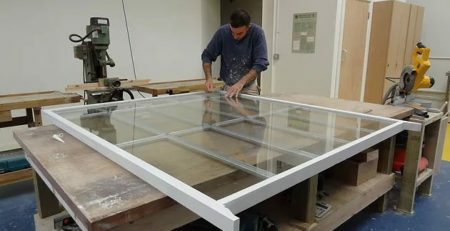 It was not until 1980s when UK households finally realized that much of the heat used to warm homes escapes through single-glazed windows.As energy prices soared, cheaper materials for double glazing were used so more and more homeowners started replacing their single-glazed windows with double-glazed ones. 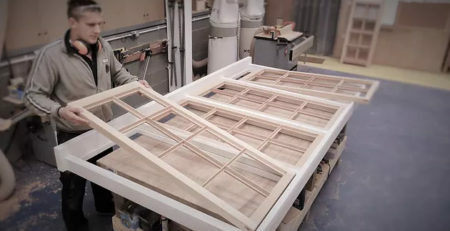 When you take into account how expensive wooden frames are plus the amount of staining and polishing you would need to do, it makes sense to opt for UPVC alternatives. These are more energy efficient and cost effective in the long term. Today, double glazing is about more than just luxury or need-based. It has become big business and a popular home improvement option. 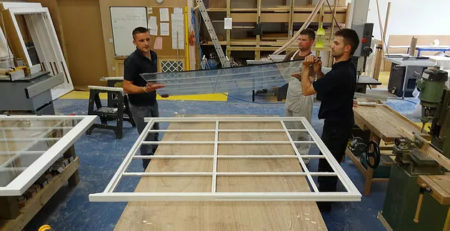 Many manufacturers are now producing top of the range double-layered windows with the latest technology. If you are considering this option, here are some of the main benefits explained. To enjoy a peaceful home, you can opt for double glazing in order to keep out the outside noise. The excellent sound insulation that double glazing benefits from will prevent annoying sounds like dog barking or noisy neighbors from being heard inside your home. But aside from the noise, your energy bills will also get lower. In fact you can save up to 40 percent on your heating costs by replacing your single glazing. Most burglars tend to enter homes through doors or windows. Modern double glazing uses multi level locking technology with secure UPVC framing that deters intruders as it is harder to break into. In addition to being more secure, double glazing also reduces condensation in a home. In many properties today, condensation can lead to further problems such as mold or mildew. Once condensation accumulates in your home, the moisture can drip down the window frame and damage the wooden panes. Your furniture can also get ruined with the high moisture levels. In fact, high levels of damp are the breeding grounds for mildew. As the glass of the double glazing is thick, it prevents the build-up of warm, moist air that can eventually lead to condensation. The other advantage of double glazing is that it will help your house achieve a higher energy star rating. Newly built properties must meet a minimum of 6 stars so by installing double glazing, you can reduce your electricity bill. In fact, by achieving a higher star rating, you will see significant returns on your investment, which is an extra bonus. According to a recent survey by the Australian Bureau of Statistics, it was revealed that higher star ratings meant home sellers can ask for higher sale prices for their properties so the investment you make in double glazing will certainly pay off when you come to sell your home. Most people are becoming more aware of global warming and climate change. As world temperatures are on the increase, the health safety of households and their family becomes poorer. However, double glazing can significantly minimize green house gas emissions from HVAC systems and as a result, help reduce your carbon footprint. This is one of the main advantages of double glazing that not only helps the environment, but it is also good for your health.